This is Max – he will be 13 in a few days –and he is a very happy dog!! In November 2017 Max had a tumor removed from his right leg – it was cancer – spindle cell sarcoma. The tumor grew back in less than 6 months and it was more aggressive this time – typical of this type of cancer. I was told there was really nothing to be done other than to amputate his leg. I took Max for second opinions – 2 surgeons and an oncologist all recommended the leg be amputated – the tumor could not be removed it was too hard and could not be peeled away from skin – the skin would have be cut out along with the tumor and there would not be enough skin on the leg for the wound to heal. The tumor was big- it went down the length of his leg. I was starting to lose hope that I would find an alternative to amputation and then I discovered Dr. Gabriel – in Sept 2018. She started giving him acupuncture and put him on a regimen of Chinese herbs along with CBD oil. Dr. Gabriel also wanted him to be eating whole foods – I was already doing that – he had been off kibble for about 2 years – I feed him - muscle and organ meat, sardines, veggies and fruit. After about 6 weeks – we noticed the tumor was not as hard – it felt softer – something was changing. Max was feeling better and he looked better – his fur now had a shine to it – and the acupuncture was helping with the arthritis in his hind legs. At this point Dr. Gabriel wanted Max to see Dr. Daphne Clendaniel – a surgeon. Dr. Clendaniel said she could remove the tumor – but with this type of cancer she would not be able to get all of it – in December 2018 Max had the surgery. The amazing Dr. Clendaniel was able to remove 95% of the tumor!! Dr. Gabriel was able to get Max to a much healthier state- between the Chinese herbs and the acupuncture helping the rest of his body – the tumor had somehow changed - which enabled him to have the surgery- as well as having a great surgeon!! The path report came back that it was second stage sarcoma – not a surprise. It is now April 2019 Max is still on the regimen of Chinese herbs and CBD Oil and getting acupuncture weekly – so far the cancer is keeping a low profile. We know the cancer is still there – we are hoping that Max can keep the cancer at bay and enjoy his twilight years. Max is moving around much better than he has in years – he is back to playing with my other dog Jake – wrestling and playing fetch. I use a small trampoline to get Max in and out of the back of my SUV – he just will not use a ramp. I was just about to set up the trampoline for him and he just leaped into the back of the car without the trampoline – I was shocked. He has not done that in years!! 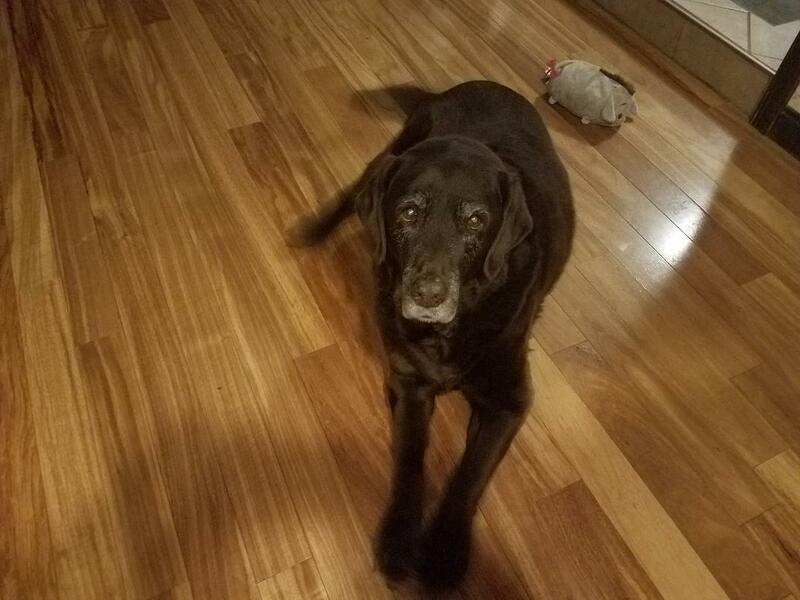 Max is a very happy dog and is back to being my fun loving lab – all of this is because of Dr. Gabriel – I will be forever grateful. 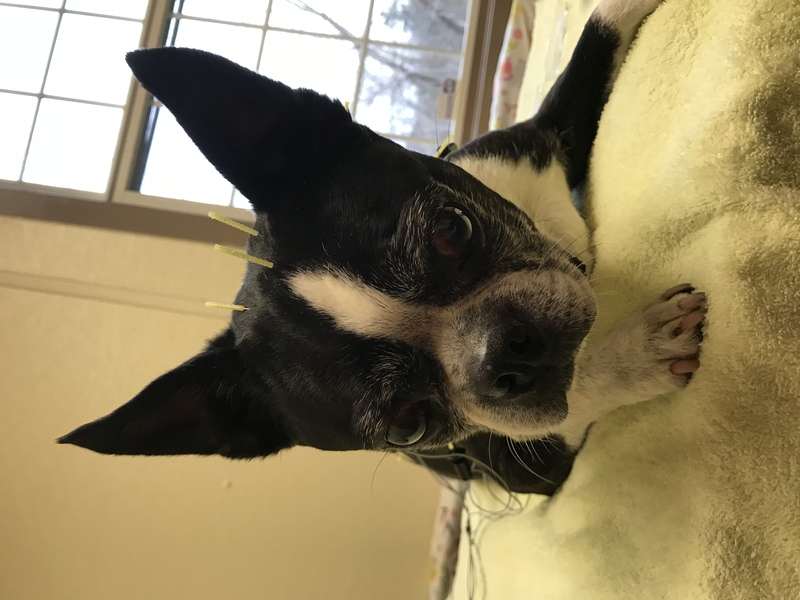 Our boston terrier, Louie, has been receiving acupuncture treatment in combination with physical therapy since a cervical disc herniation. His recovery has been nothing short of amazing, and it’s definitely attributed to including acupuncture and herbal supplements. I would recommend Dr. Gabriel to anyone whom thinks their pet would benefit from acupuncture and holistic treatments. 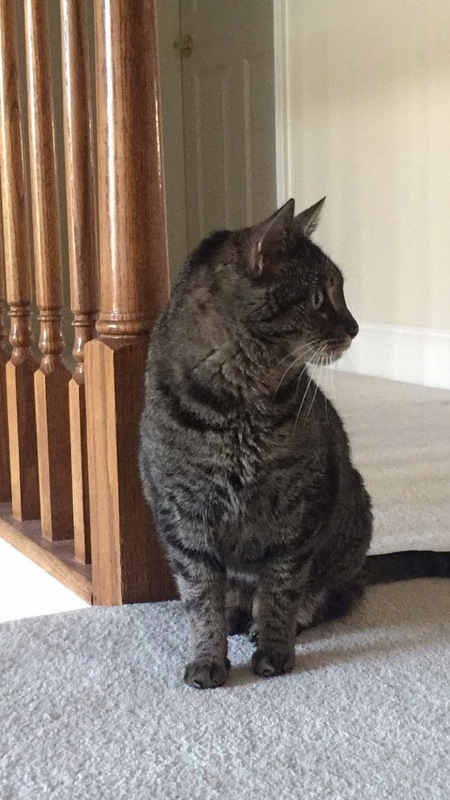 My senior cat, Luna, has kidney disease and triaditis, but can't be treated with steroids. Dr. Gabriel's herbal treatments and acupuncture have done wonders for Luna such that her bloodwork is now within normal ranges. There is no cure for Luna, but she has improved so much in the short time that Dr. Gabriel has been treating her; Dr. Gabriel really cares about animals and I wouldn't hesitate to use her again. 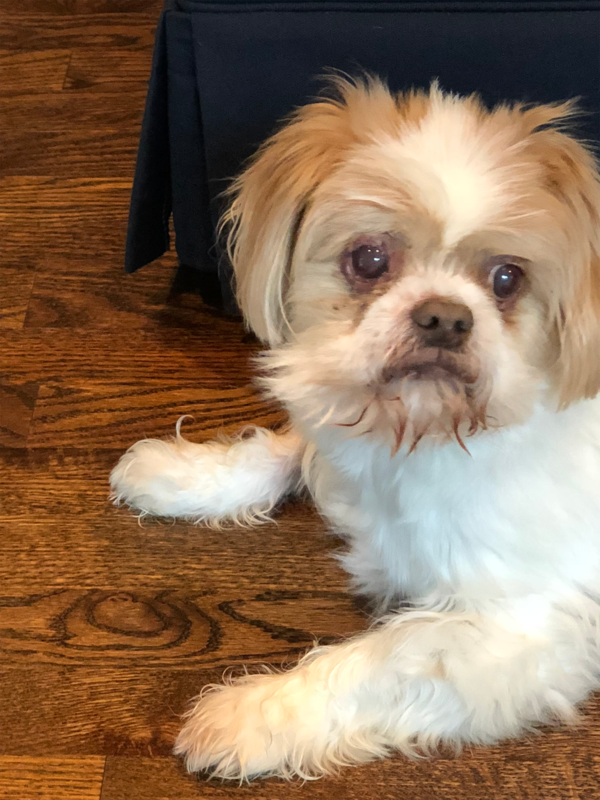 Fritz is a 14 year old shih tzu and suffers from degenerative disc disease which was causing pain and difficulty walking. We were hoping to avoid surgery and repeated treatment with steroids so our vet recommended acupuncture. He has been treated by Dr Gabriel with acupuncture and herbs and is doing great! He's happy and active again. Dr Gabriel is so good with him, he gets so excited to see her for his treatments. 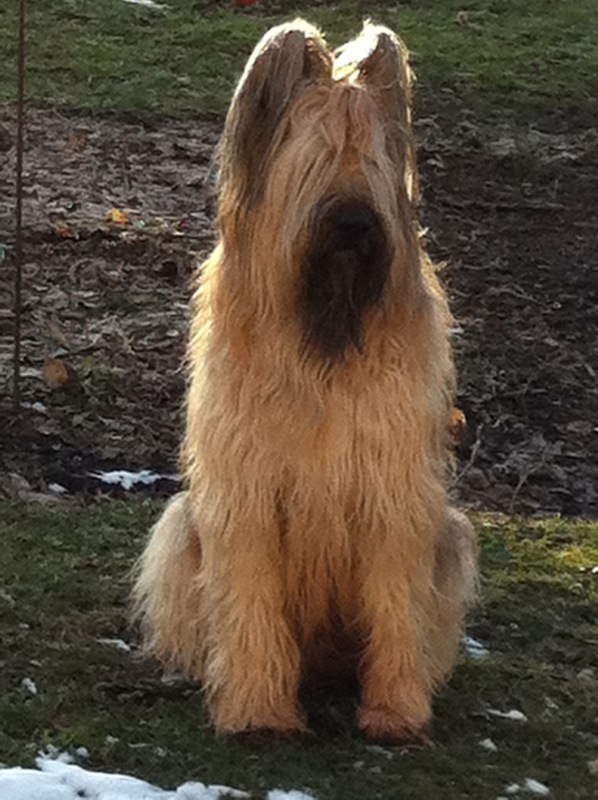 Diane is a miracle worker, I am certain that my older briard would not be walking let alone running, she brought him back to life! We missed an appointment and he really declined fast, she is keeping him going and he’s happy and comfortable! !